For this Collection, we begin this story in Tuscany where the European Renaissance began. The Italian Renaissance exercised a dominate influence on Europe in general, influencing painters like Michelangelo and the spark for St. Peter's Basilica in Rome. But this story does not take place in a city - it unfolds in the countrysides of Tuscany, Umbria and Chiani where by the late Middle Ages, circa 1300 due to the Italian trade routes, there formed a new mercantile governing class - or landed nobility. This nobility increased the demand for luxury goods which led to increased trade. It was hence the tradesman who now became wealthy. From modest means to enjoying more finer things in life, they built stone homes in the countryside and with simplicity and elegance, adorned their interiors with ornate patterns that they saw along the trade routes. 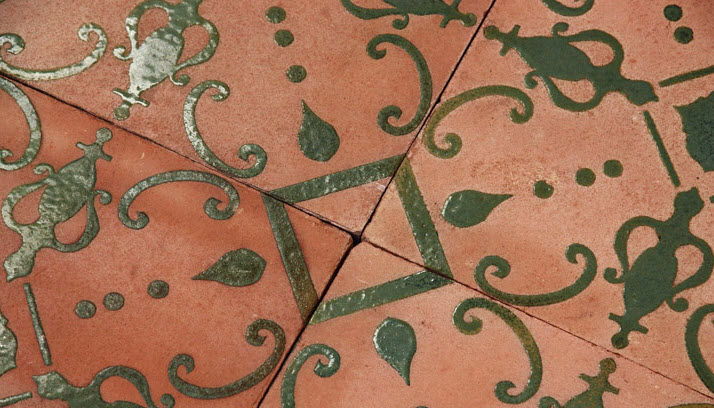 Villa Raffinato is Pavé Tile's inspiration from this time in history. 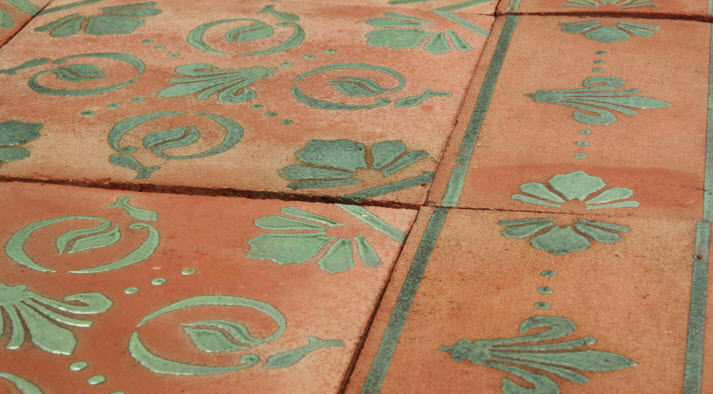 Using hand made Italian terra cotta tiles as their canvas, rustic and muted like worn red linen - Emmi's original designs are fired with rich glaze colors. The contrast between textures - rough and smooth, matte and shiny, muted and rich is the beauty of Villa Raffinato. 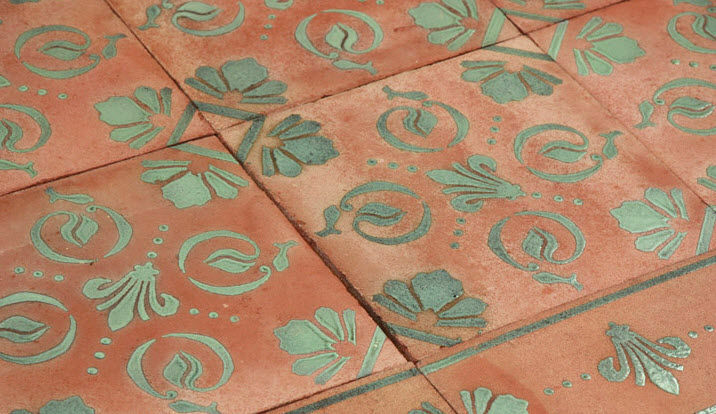 This Collection is for the outdoor living lifestyle - perfect for poolside and outdoor kitchen.